Are you ready to become the best "word" cookie baker? • Decorate your word cookies with delicious, chocolatey icing! • Claim your daily rewards to give yourself the extra boost you need! 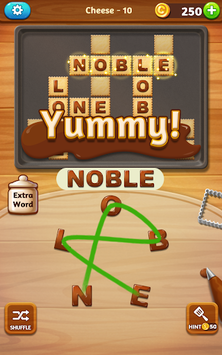 • Collect extra word to fill up the cookie jar & receive even more rewards! • Ask your friends for help & invite them over to play together! • No need to rush! With no time limit, you can enjoy the game at your own pace! • Great for wordies to enhance vocabulary & excellent for kids to learn new words! • Wifi is not required! Word Cookies Cross can be enjoyed on & offline! 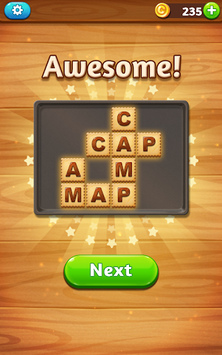 • WordCookies Cross contains ads that vary from banners, interstitials, videos to house ads. 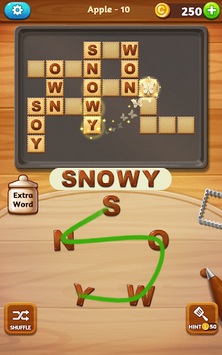 • WordCookies Cross is free to play, however, you may purchase in-app items like Ad-free and coins.